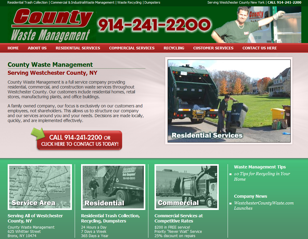 Serving Westchester County NY County Waste Management is a full service company providing residential, commercial, and construction waste services throughout Westchester County. 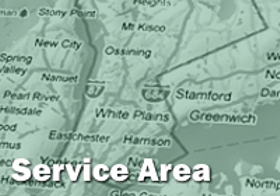 Our customers include residential homes, retail stores, manufacturing plants, and office buildings. A family owned company, our focus is exclusively on our customers and employees, not shareholders. This allows us to structure our company and our services around you and your needs. Decisions are made locally, quickly, and are implemented effectively. We are pleased to announce the launch of our new web site. Have a look around! If we can answer any questions or be of service please click here to contact us.